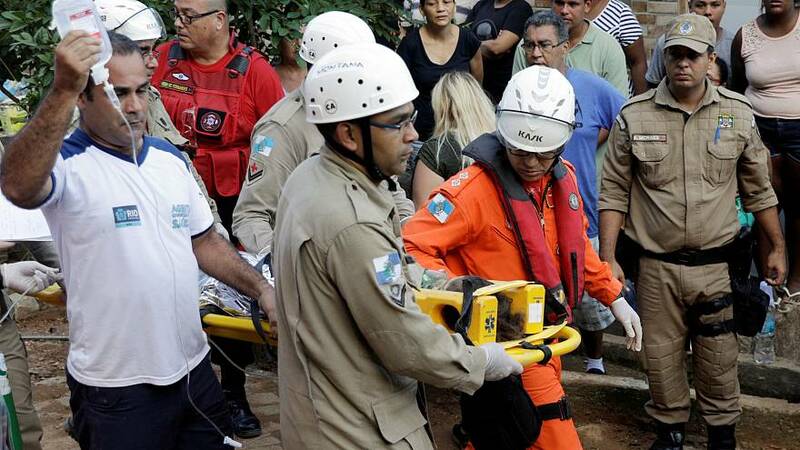 Firefighters are searching for survivors after two illegally-constructed buildings collapsed in Rio de Janeiro. At least three people were killed and dozens are injured. A helicopter was unable to land on the unstable ground so had to hover overhead to take away the injured. Local officials say the area is run by militias and the two four-storey buildings had no permits. The city's mayor's office says the search will continue into the night.